Football weather. Cold, gray, wet, and windy. You imagine beastly men thundering down the field working through every once of pain. 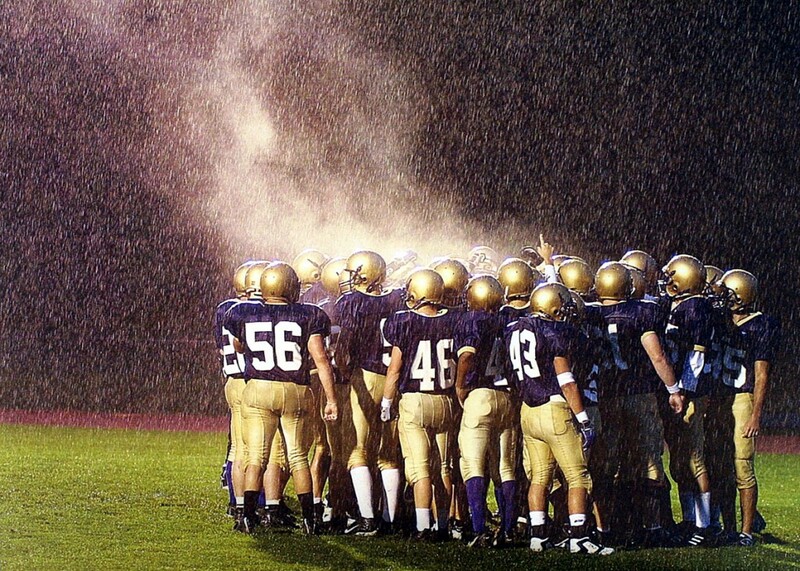 Some of the greatest games every played on the football field came from terrible weather. You got the Fog Bowl, the Ice Bowl, the Snow Bowl, and many others. These games help pile on the tradition of football and create a mystique you don’t see from other sports. Seriously, have you ever heard about great games played in bad weather in baseball? If it rains too hard, they stop the game. Granted you don’t see snow and any other type of weather. That’s why you don’t hear people say “It’s baseball weather.” It’s not that popular, but I’ve never heard any great games played in bad weather for soccer. Every other sport is indoors. Basketball, hockey (although the NHL is playing some outside now), and even professional wrestling is all indoors. That’s what makes me a little worried about indoor stadiums being used more and more. Many of the bigger games are played in domes. Either that or they move the games down south where there’s a slight chance of the chillies. Okay, so some big bucks are pumped into theses games and they want fans to come out and brave the weather as well as the teams to have an even chance to win the games. But if you are a great team, you should be able to win in any condition, right? The Jerry Jones Cowboys Stadium can open and close. That stadium up in Seattle can open and close. Heck the NFL even agreed to play a Super Bowl in the New Meadowlands. In New Jersey. During the winter. It’s great that the football powers that be somewhat recognize that memorable games can be played in bad weather. Just don’t go full-out dome. We need to have these brutal games.